The day was divided into three breakout sessions representing stages in a typical scholarly workflow - Discovery, Working with Sources, and Dissemination. For each breakout session, participants could choose one of three available workshops. 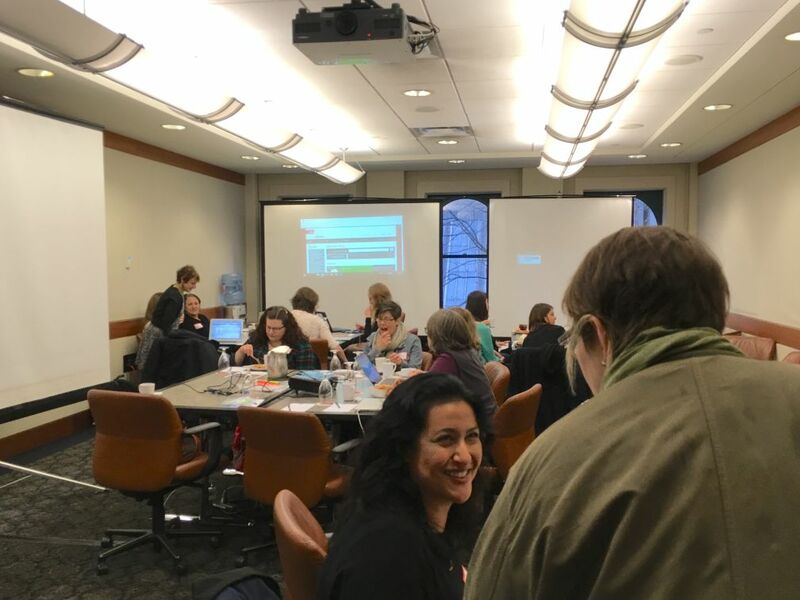 In the Discovery stage, participants could choose to learn more about best practices for visiting an archive with Melissa Salrin, using Zotero to organize citations with Ali Moore, or navigating the library catalogue with Shannon Cheng. After lunch, we learned about digital tools that are useful when researchers are Working with Sources. Alex Garnett demonstrated how Portage could help with data management, Kim O’Donnell and Kandice Sharren introduced Tropy for organizing images, and Michael Joyce and Rebecca Dowson demonstrated the uses and misuses of spreadsheets. Our final breakout, Dissemination, included a workshop on project management and collaboration with Claire Battershill, Michelle Levy, Kandice Sharren, and Kim O’Donnell; a workshop on non-traditional ways to share your research with Hannah McGregor; and a workshop on the differences between traditional and open access publishing with Jen Zerkee and Rebecca Dowson. See the full schedule with workshop descriptions. At the end of each breakout, we came back together as a large group to briefly share the outcomes of our workshops. This gave everyone a chance to learn more about the workshops they didn’t attend, and follow up with workshop leaders if necessary. Some notable tips that emerged during these sharing sessions: the SFU library catalogue has a search alert option that tells you when new items relevant to your research are added; spreadsheets have an option to create a drop-down menu so collaborators can use a fixed vocabulary; and to remember that there are a lot of collaborative tools available, but flexibility is the most important one because tools are only useful if everyone is comfortable using them! We are grateful to our facilitators and participants for creating such a collegial environment and sharing their knowledge so generously. For more information on any of these tools, please contact us: dhil@sfu.ca.